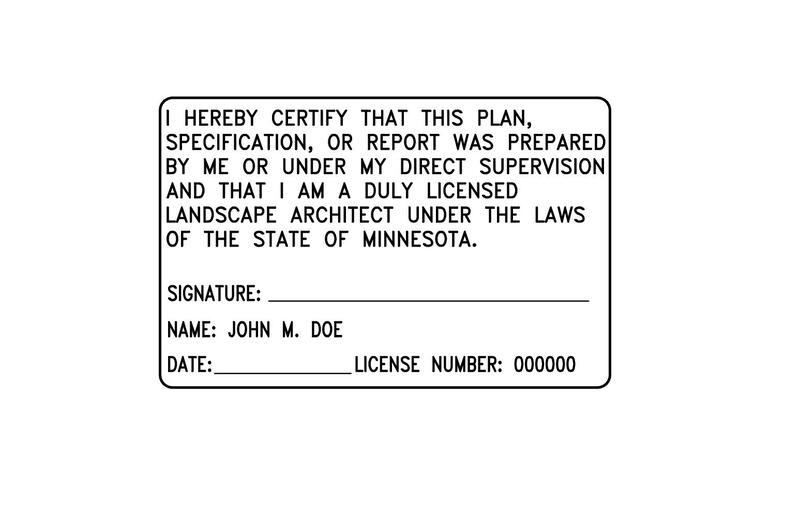 Our Landscape Architect stamps comply with all state board regulations. We offer electronic stamps, rubber stamps, self-inking stamps, pre-inked stamps, and embossers for our Landscape Architect stamps. 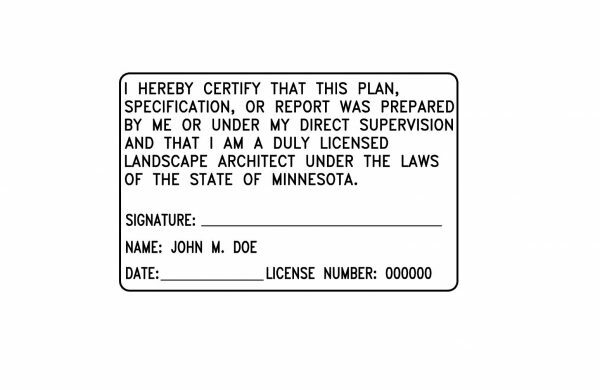 Our Minnesota Landscape Architect stamp is offered in 2×3 inches in diameter.